I was so excited when I got the email from Jodi at Interweave asking if we wanted to review their new 100 Knits book. As I read the message I realized this book was going to be huge; both in popularity and in size! So, I opted for a digital version, because I live in a tiny apartment and have way too many things. I’ve since seen a physical copy and I might be a little jealous, and seriously considering buying one, because it’s just that pretty. If you’re interested in winning a print copy of this book, read on! Interweave has generously offered a copy as a giveaway to one of our lucky readers. This book is filled with a huge variety of patterns: hats, cowls, socks, scarves, sweaters, cardigans, pullovers, shawl, wraps, tees, I could go on. There are patterns for all kinds of knitters, texture fabrics, colorwork, elegantly simple, and stunningly complex. I’ve actually had this hat on my to-do list for a long time. I’ve just been waiting for my niece to get big enough to actually wear it. I plan to use For Better or Worsted in Black and Peacock because I think that combo will look amazing with her red hair. There are several beautiful and clever sock patterns in this book, however these are the ones that are probably perfect for me. I’m a not much of a sock knitter, and when I do knit socks, 2-at-a-time is the only way to ensure I actually finish a pair. So, while this isn’t quite 2-at-a-time, it’s an ingenious way to get 2 socks instead of one. Bonus, you get to skip a bunch of the fiddly-ness that comes with knitting 2-at-a-time and can use DPNs if that’s your thing. My favorite sock yarn lately is Gerty, so I will probably use that for this pattern. You could also use Squishy, Haiku, Nebula, or Lunaris, all are great for socks. This is just so simple, and so lovely at the same time. I think it’s one of those knits I would wear all the time. I actually have some of Jade Sapphire’s Khata in my stash, but it’s earmarked for a shawl. Being in the Central Valley of California, I think I would opt for a cool blend like Breeze. The silk and linen will be comfortable and soft, and much cooler than the yak/silk blend of Khata. Confession time! I love knitting cowls and would literally knit every cowl in this book if I had the time. They are all so different, and so wearable. It’s simple, and elegant, with that garter squish to make it cozy too. What more do you need in a shawl? (Lot’s of lace? Beads? Keep scrolling, they’ve got you covered). Both Dreamy and Squishy would work perfectly for this pattern. If you wanted a little sparkle you could also try Nebula or Lunaris. For those of you more interested in delicate lace and shimmering beads, this is definitely for you. I see this with wedding dresses, evening gowns, romantic walks, date night, dressing up because you feel like it… Seriously, it’s gorgeous and you can wear it anywhere. Wash My Lace or Meridian would be perfect for this. This cardigan has been on my favorites list for. ev. er. I really should just cast on and get it done. It’s so pretty and would definitely stay with me through quite a few size changes (I tend to fluctuate in weight). Vera is one of my favorites for cardigans and I think that’s what I’ll use to make this. This sweater is both fashionable and flattering for a lot of shapes. I love the diagonal texture and cowl neck. I would probably do For Better or Worsted for this. 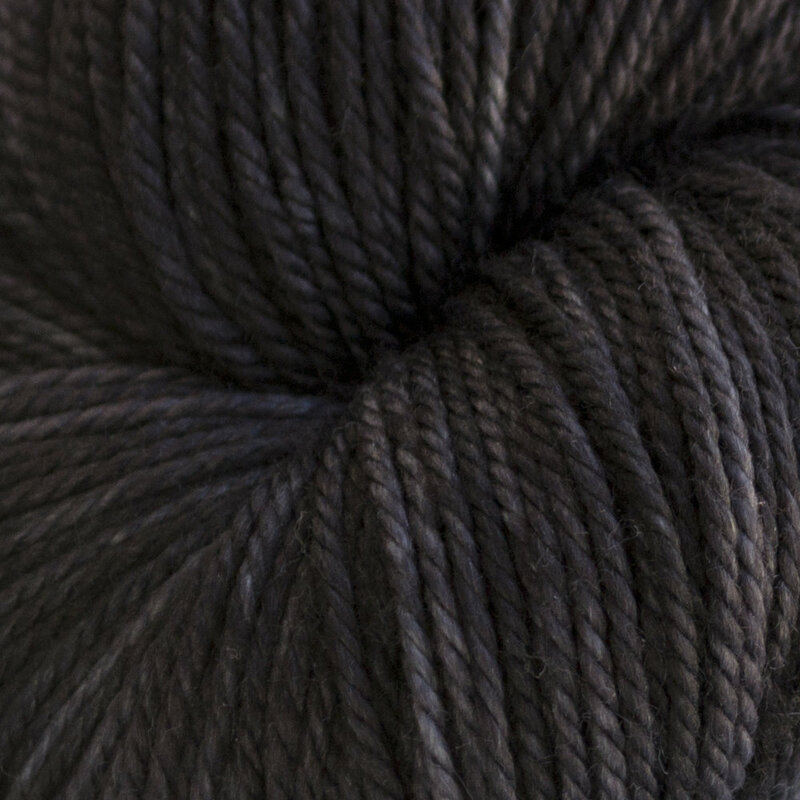 Depending on gauge swatches, I might also give Katara a try, because I think it would be seriously amazing in that yarn. I think it’s always worth a swatch or two if you’re really in love with an idea. Plus, if it doesn’t work, I’ll still know my gauge for Katara. This sweater is so classic. I think to get a nice fit you will want something bouncy and woolly so I would use Gerty or Squishy for this. Dreamy would have the bounce too, however it has a little silky shine, so that would work too depending on how you like the look of the fabric. This looks so cozy and cute! I think Burly would work for this, however a swatch is definitely in order to make sure. It’s a casual enough fit that a little difference would be okay, so long as it’s only a little. This tank is gorgeous! I love tanks and love this flow-y a-line shaping. I really like the close fit for the arm holes. I’m a little self conscious of that area and the way this fits the model is really nice, in my opinion. This is another one I will make in Vera. It would be the perfect summer top. Whew, that’s a lot to love and I barely scratched the surface. I’m pretty sure I didn’t show you any of the gorgeous colorwork items, oops! What this book doesn’t have is a section on technique. I think that’s totally reasonable. First, it’s already 512 pages. Second, you either already know how to do things, have a yarn shop or friend who will help you, or you know how to use YouTube. I think it was a great cost savings to the purchaser not to use materials to make this book any larger. There would have been so many techniques to cover it would have been three times the size! I appreciate that they take a couple pages at the end of the book to introduce the designers who’s works are included, and to give a brief, and effective, stitch abbreviation key. Literally every page is filled with gorgeous photos, patterns, and charts. 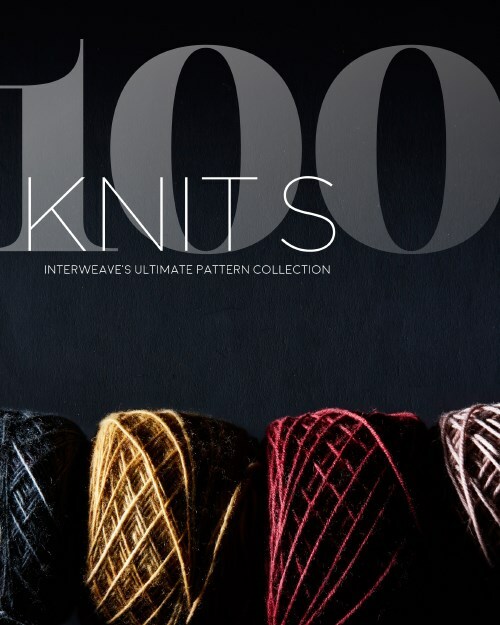 Interweave really has put together a truly lovely collection for knitters. So, you’re probably wondering where you can get it! Pre-orders are open now at the Interweave online store. And what I know you’re really wondering, is how to enter in our giveaway! Leave a comment below and tell us the pattern you want to make from the book and which yarn you would use. We’ll choose a random commenter on October 5, 2018 and Interweave will send you a copy of the book. Update - Congratulations to Cristina Pederson! Pattern Roundup: Hats, hats, hats! It's getting late in the year, which means we're quickly approaching a slew of gift giving holidays. And you're probably realizing that you should have started knitting and crocheting gifts in January in order have something for everyone on your list off the needles/hook, washed, blocked, and if you're really good, dry and wrapped in pretty paper. One of my favorite gifts to give is hats. Soft hats. Ones that people will actually wear because they don't feel itchy. Washable hats, because you know it doesn't matter how you much you label/instruct/beg, people are gonna throw that thing in the washer. And most importantly, hats that are than any hat the receiver has or will ever have, because it's hand made with beautiful yarn. As a bonus, most hats only take a couple hundred yards, require little blocking, and are quick to make. Here are a bunch of my favorites! I know, it's a lot of hats. And if you can believe it, there are even more. Here's a link to all the great hats designed for Anzula yarns - Anzula Hat Land. Do you have a huge gift list to fill? What are you planning to make? Tell us all about it in the comments below! Pattern Roundup: New Summer Sweaters! There have been so many amazing new sweater and top designs released this summer. I thought it would be fun to take a tour through some of our favorites. Click the photos to go to the Ravelry page for each design. Dockside by Andrea Sanchez is knit in Vera, a sport-DK weight silk and linen blend. It's shown here in colorway Gravity. Santa Cruz Cami by Stephannie Tallent is another great summer tank knit in Vera . We'll be taking a closer at this design on the blog in the very near future. 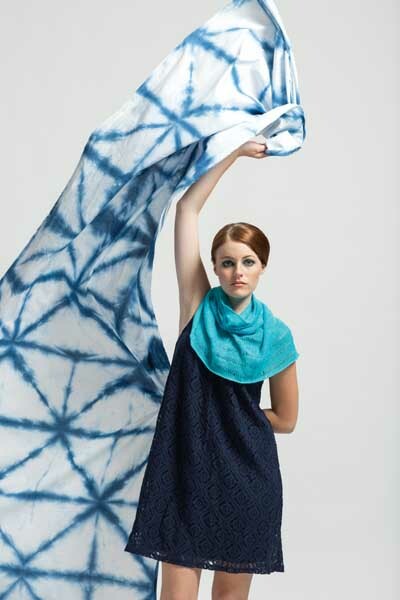 Mazy by Janet Brani is a perfect summer overlay. Crocheted in Ava, this adorable top can be worn over tanks to add a layer of cute with out adding a layer of heat. Speaking of adorable, how cute is this?! Shortbread Cookie by Mona Zillah. You can knit up your own cuteness using Cricket, our super soft, DK weight, merino, cashmere, and nylon yarn. Up next, Dear Prudence by Afifa, knit in Ava. Bright yarn and lacy sleeves make this a totally wearable summer top. Violet's Wonderful Life by Laura Patterson, also knit in Ava, was featured in The National Needlearts Association Fashion Show this summer. Back to Vera, Flamingo Pink Tee by Andrea Sanchez is reminiscent of her Dockside top and sized for little ones. You'll find this in the June 2016 issue of I Like Knitting. Vaara by Sachiko Burgin and published in Pom Pom Quarterly has been so popular this summer. Knit in Vera this casual top wears cool and pairs with jeans, flowing skirts, and shorts of all varieties. Like I said, it's been a great summer for sweaters! What's on your needles? Tell us all about it in the comments below. On our next Patter Roundup we'll take a look at sweaters to knit now and wear this Fall and Winter. There are a ton of great sweaters for men, women, and children so get ready to expand your queues!